Yes it was possible! No it’s not a photshop job! 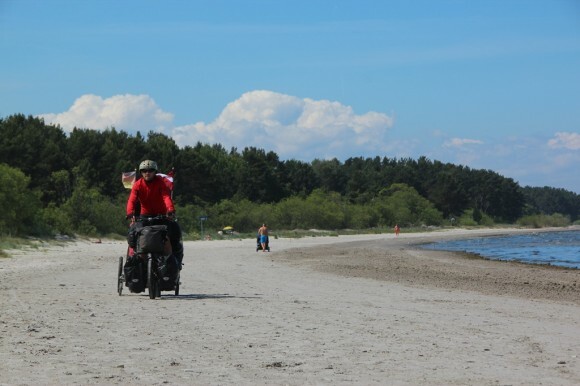 The sand was so compressed even with all our luggage we could still ride without beaching!